Andre Drummond is having a breakout season. His 30 double-doubles lead the NBA this season. In a dubbed video released by the Pistons, Obama raps to Drake's song "Jumpman." 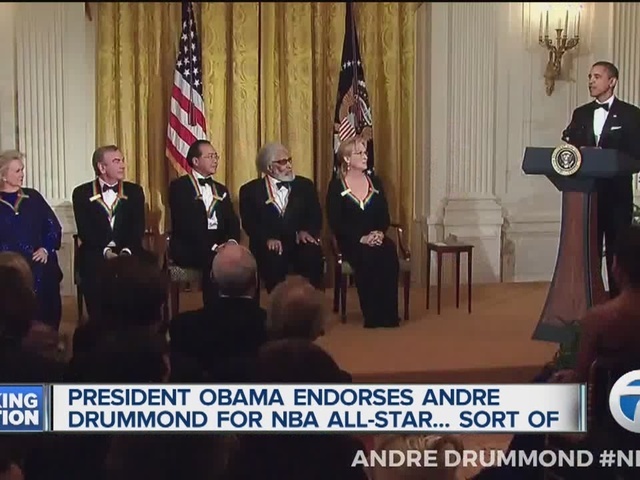 The effort of looking through hours of Obama's speech is to push Drummond's All-Star campaign. Watch the video above to see how the Pistons put it all together.